My standard range of bowls & plates are a mixture of everyday tableware and special items such as porringers and star bowls. All the bowls and plates that I produce have been created in expectation that they will be used. Some of the many benefits of using wood-ware include: quiet in use, light weight, hard to break, insulating, totally biodegradable, good in a boat (they float), child friendly and from sustainable sources. 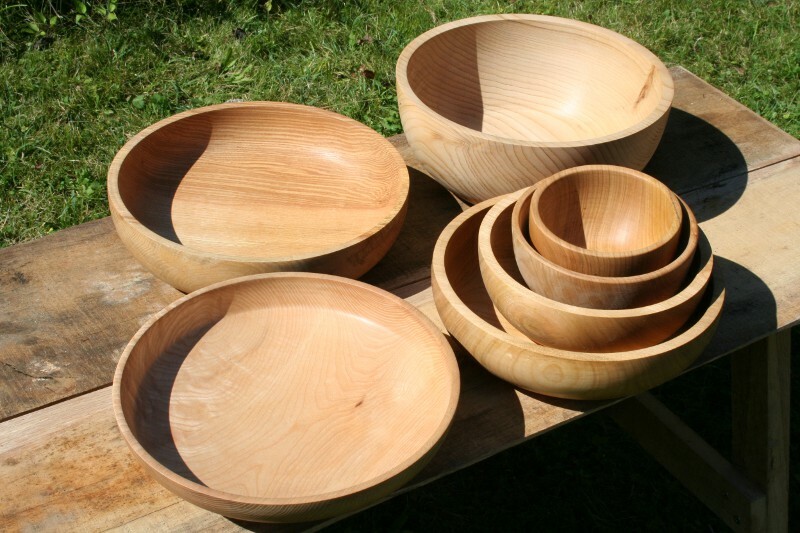 It is the piece of wood that really dictates what the woodturner can do, and the woodturner's skill is in being able to draw out the woods best features!Please check availability of our Wooden Bowls prior to visiting our showroom. The wood is cut in a part dried state then finishes drying after turning during which time it changes shape a little giving the bowls and plates a pleasingly organic shape. Then clean and square it with a chisel and Behr. Grizzly's cast iron block not.